Information about Abbey Service Corp.
We are a locally owned and operated business with 25 years experience in this industry. Abbey Services Corp. purchased S.T. Construction in 1992 and has continued on with the crane & trailer rental provided by the previous owners as well as expanded to include Storage Containers. 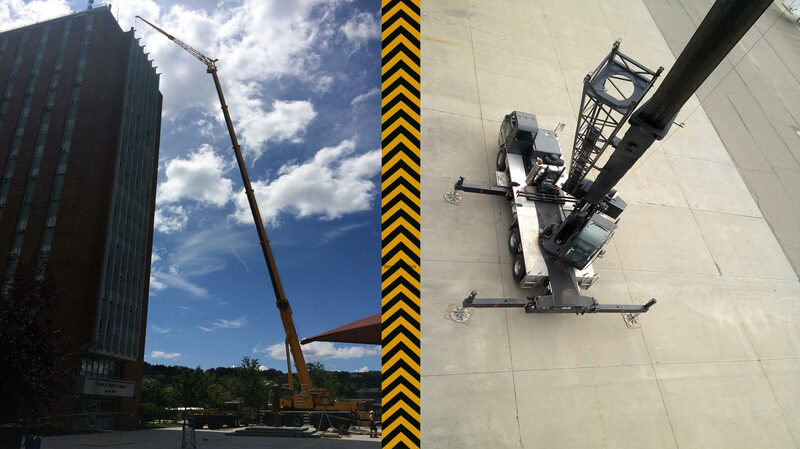 Our goal is to provide excellent crane service and mobile storage to our customers. 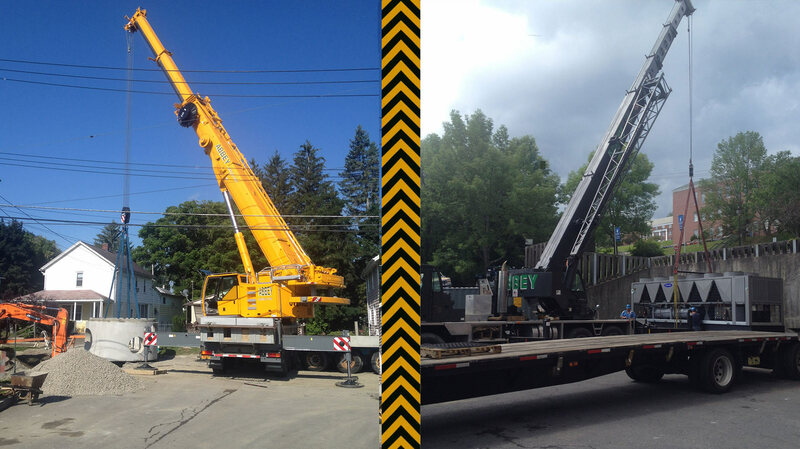 Our cranes are hydraulic mobile cranes with New York licensed operators that are OSHA 10 hour course certified, as well as certified in asbestos handling. We are fully insured. 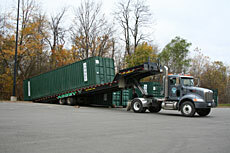 Our storage units are mobile, we can deliver them to your site, or you can rent at our facility. They are water tight and secure storage. *Don't have room? No Problem! We will provide storage in our yard if you do not have the room. Please inquire within. We are also a proud member of The National Portable Storage Association the leading trade association for companies offering secure, portable storage containers, portable or mobile storage trailers, portable or mobile offices, portable or mobile storage units and the industry that surrounds us. We will deliver your container directly to you or store conveniently on our site! Steel storage containers make excellent storage containers! 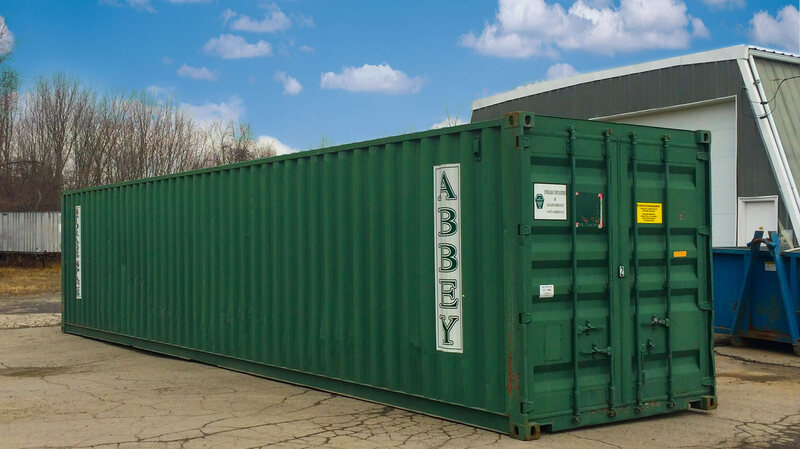 Abbey Service Corp. offers 28', 40' and 45' trailers that can be delivered to your site or kept on ours. We specialize in Industrial, Commercial and Residential Construction projects! Get an estimate on a current project, use our convenient online form! How are storage containers delivered? Are storage containers delivered with a lock? You must provide your own lock for the containers. We have Masterlocks available in the office for purchase. Yes. We offer products from Uline. What are the dimensions of the storage containers? 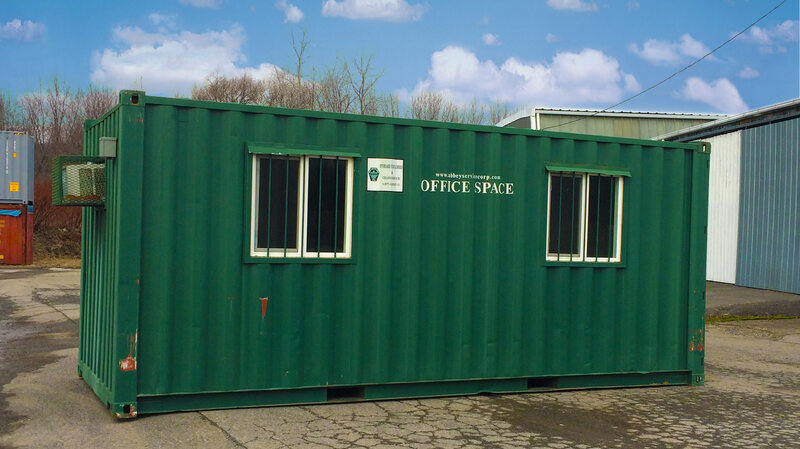 Storage containers come in four sizes: 10 feet; 20 feet; 40 feet; and 40 feet with a high ceiling. Details are on the Storage Container page. How much clearance do you need to deliver the container? Our trucks need at least a 20’ clearance under wires or trees. Do the Containers sit directly on the ground or pavement? No, our delivery personnel will place cribbing underneath the container. Is our our facility gated? 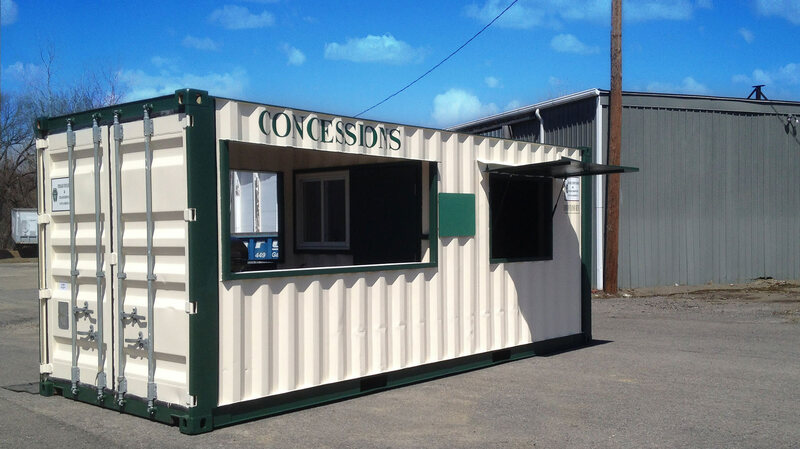 When renting a container on site, it is not in a gated area. We do have surveillance cameras throughout our property. How do you plan the container delivery schedule? We try to accommodate the timeframe that our customers request. Generally we can get a container delivered within a couple days. Do you offer rental insurance for my contents? We do not offer insurance. It is your responsibility to have the contents of your container secure. Contact your home owner’s insurance agent; they can help you with this. We are a locally owned and operated business with 24 years experience in this industry. Abbey Services Corp. purchased S.T. Construction in 1992. This has continued on with the crane & trailer rental provided by the previous owners as well as expanded to include Storage Containers.